We're out in the boonies so we didn't expect any trick-or-treaters. We went to a Halloween party at the Mount Vintage Grille. 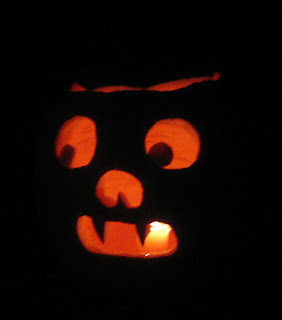 The picture is one of our jack-o'-lanterns.